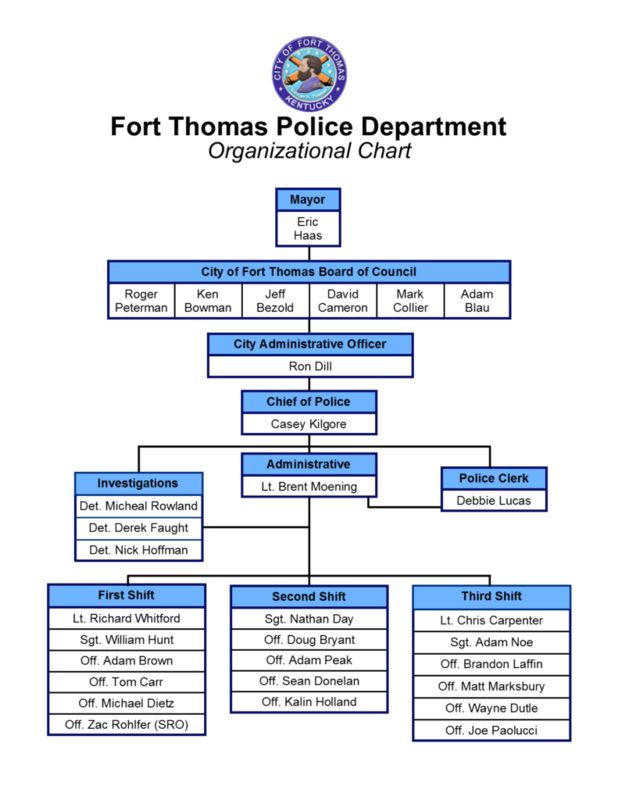 The Fort Thomas Police Department is committed to working with our community to provide excellent services. We conduct ourselves in a manner that reflects the highest standards of character and dedication to service. We strive for excellence through training, education, and superior individual effort. Our law enforcement personnel utilize state-of-the-art equipment to provide first-rate service to the community. We currently have twenty-three sworn officers, including the departmental command staff and Criminal Investigations Unit. Personnel have opportunities to acquire and demonstrate specialized skills in several specialized assignments and secondary duties.